Responsive Answering has located telephone answering service centers strategically across the United States to satisfy customer demands. 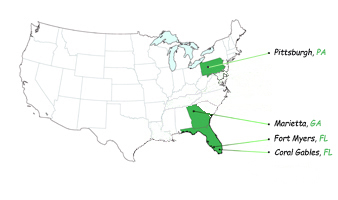 Our U.S. call centers are located in: Florida, Georgia, and Pennsylvania. If your business needs US based operator services in one of these states, feel free to schedule a visit to see our offices and meet our staff locally. Don’t be discouraged however, if your company is out of state. Our technology enables us to answer phone calls for you, even if your callers dial your local numbers. Because of the Internet, there really is no location limits for any of our call centers.